Wolli Creek is a relatively new suburb located to the south of Sydney CBD, and offers extremely convenient access to the city, Sydney airport and it’s inner western suburbs. Wolli Creek is perfect for the business and leisure traveler, with public transport readily available at your doorstep. It is surrounded by parklands, walking and biking tracks, providing plenty of outdoor activity options. The area also has a number of new cafes, restaurants and supermarkets, making it convenient for travelers. 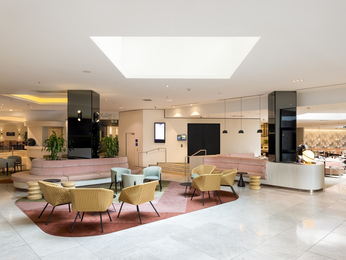 Feel welcome at one of the hotels offered by AccorHotels and our partners in Wolli Creek. Discover our selection of luxury to budget hotels in Wolli Creek for your next business trip, family holiday or weekend break.